Being a good boss is no easy task. If you can run your business without the hassle of employees, you’re probably better off. Most business of a certain size or a certain trade however are impossible to run as one man bands. Whether you’re planning to take on staff or already have a workforce and are eager to improve your methods, here are some of the major ways that you can be good employer. Getting underpaid remains the major reason behind people leaving their jobs. Some people will always feel they deserve to earn more, but if all your staff are grumbling about it, it may be time to stop being so tight-fisted. If you can’t afford to pay staff decent wages and are having to skimp back by hiring apprenticeships and cutting hours, you may have to count your losses and take on less work. Either this, or find cuts elsewhere. Underpaying your staff will not only demotivate them but could also cost you extra money in recruitment if the turnaround is fast, as well as damaging your reputation. Overall, paying your staff more could have you paying less overall. A good incentive can make it hard for employees to leave. This could be the chance of earning an end of year bonus, but could alternatively be something more creative such as healthcare discounts, a company car, family support or free lunch. Try to set goals with rewards that will motivate your team. Make sure that these goals are achievable though and don’t move the goalposts at any point, otherwise your employees will lose trust. One of the most complex roles of being an employer is being aware of all the rules and regulations. There are all manner of health and safety laws that must be abided by in the office, as well as employment rights. It’s impossible to be an expert on all of this – many employees have advisors to call upon to deal with this. There are many HR consultancy companies such as Ellis Whittam that are worth investing in. Having a solicitor on call is also always handy. Remember that your rights are just as important as your employees. Pay someone to write you up a legally tight contract that will prevent rogue employees stealing or manipulating data and getting away with it. Having all the right insurance schemes in place is also handy. 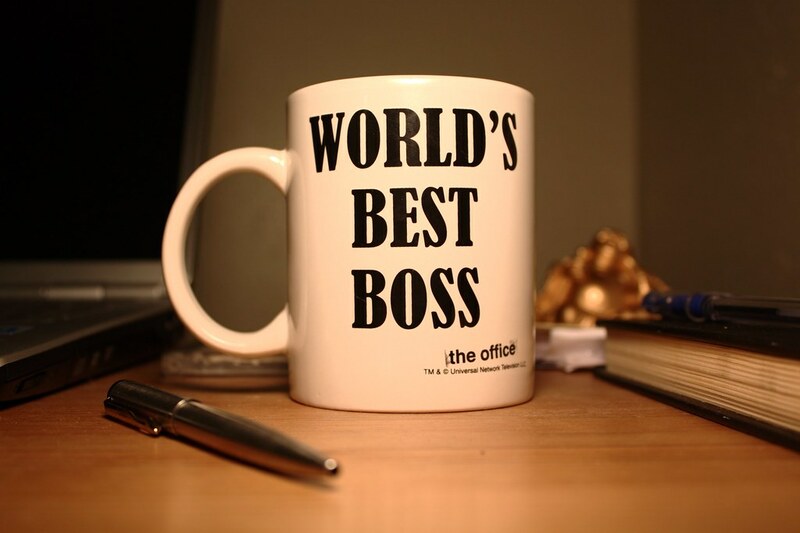 A personable boss is easy to approach. Getting to know your staff can make people more comfortable coming to you for advice, keeping you more in the loop as to how your business is running. You can get to know people on a one-on-one basis with regular individual meetings. Regular group meetings can also encourage teamwork. Don’t be afraid to socialise out of hours too. Your employees don’t have to be your friends, but you can still take them all out for lunch or go for drinks on occasion whilst remaining professional. Also consider team-building days out as provided by companies such as Out The Office, both to improve camaraderie and as a way of having some fun. As the boss, you are in charge of the working environment. Don’t settle for something dull and depressing – make it fun for both your employers and you. Provide snacks and drinks, allow people to play music, play office games and make the décor vibrant and inspiring. If work requires a lot of concentration, introduce set periods of intense work and periods of fun and leisure that will give people that boost of motivation. Along with allowing fun, it’s important to also allow your workforce some creative freedom. Empowering your workers to make their own decisions on occasions will make them feel less like their working under a dictator. During team meetings, allow your staff to weigh in with their own ideas and visions. Have regular brainstorms sessions and involve your team in major changes to the business. Even if there isn’t much variety to the actual work, you may be able to encourage their creativity by discussing ways of changing the office décor, marketing tactics and by playing games that keep your workers stimulated. Even if your contribution isn’t required, taking time out to help with the dirty work is going to help inspire your employees and make them feel like you’re more on their level. The worst thing you can do is hide in your office and occasionally come out to shout orders. Free up some time each day to do a little hands-on work. Of course, it is possible to be too hands on – if you’re micromanaging everyone and trying to do every task for everyone, your team will swiftly grow to resent you. Making sure that good employees are recognised for their achievements is quite possibly the most golden rule of them all. Staff will go the extra mile if they know they’ll be rewarded. On top of offering goals and bonuses, try to treat those that go beyond the call of duty out of their own choice. If someone is staying behind to get more work done or takes time out of their day to sort the store cupboard or reaches a record sales figure, reward them for their effort. At the very least, praise them. Praising employees in front of your clients meanwhile is even better for your staff’s morale. Even if you are rigorous with your hiring process, the odd few bad eggs will still slip through the net. This doesn’t include underperforming employees who may simply need more time to adjust and improve, or be placed in a different role within your company. No, it’s the toxic employees you should be really worried about – the bullies and the jerks. If someone is causing a bad dynamic in the group get to the bottom of it and reprimand them. In complicated cases, it’s okay to call in HR consultants and lawyers for support.